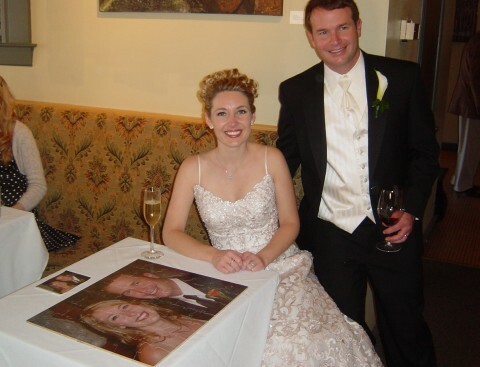 The digital image received needed a little photo work to tone down a little shine on the forehead and a drooping tie problem. Ordering the Print The 16x20 enlargement came back looking stunning. It's on Photographic paper and has durable waterproof inks. It was laminated to the plywood and the edges trimmed. 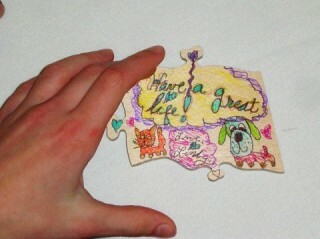 The wood on the back of the puzzle was sealed for better life and protection. 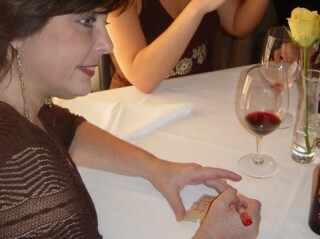 A few extra 4x6 prints were also ordered to serve as a guide for the younger folks assembling the puzzle. 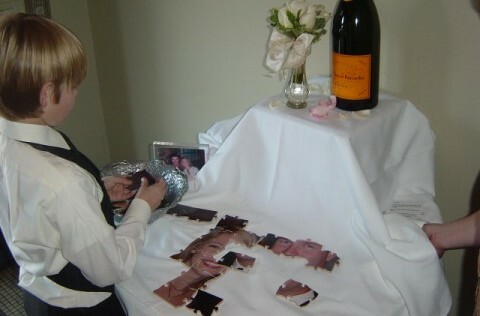 The puzzle cut style was arranged so that about 50 pieces would be created. A grid pattern was selected for uniform piece size and orientation. 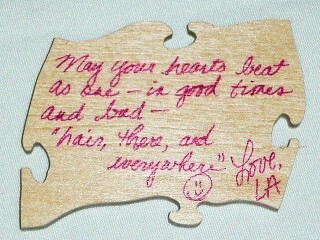 This made the pieces an average of 2.25"x2.75" in size, perfect for a nice-sized personal note. 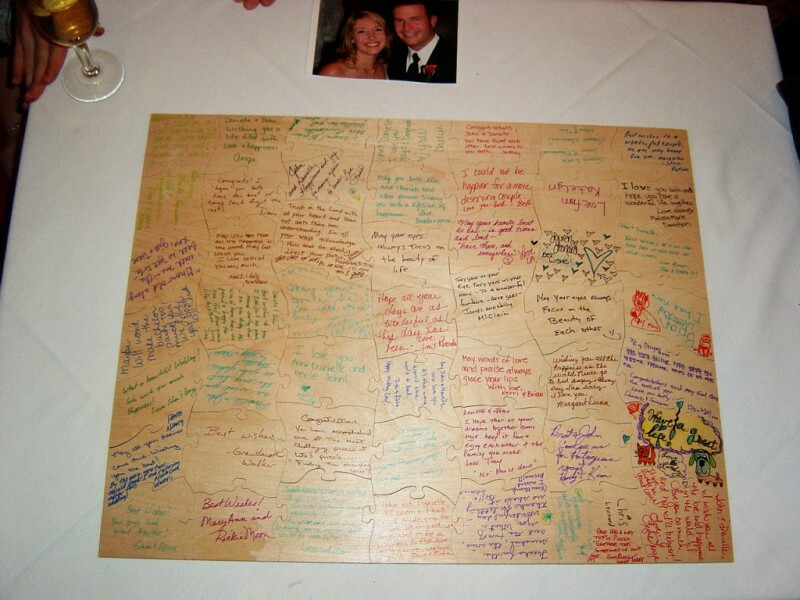 The family had a few gift ideas for the engaged couple so one of the 4"x6" prints was made into a teaser puzzle to see how well the couple could work together. 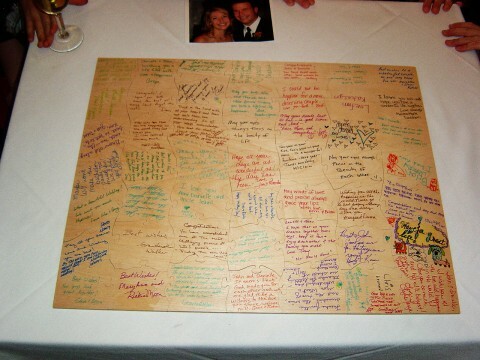 The large "Guest Signatures Puzzle" was still a surprise for the couple tomorrow. 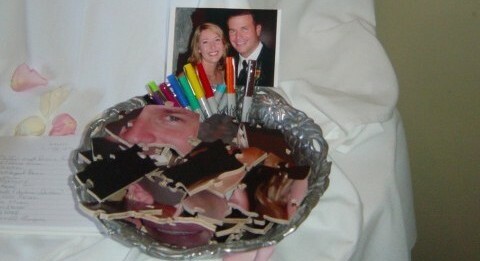 The mixed pieces were placed in a large serving bowl along with a few colored pens. 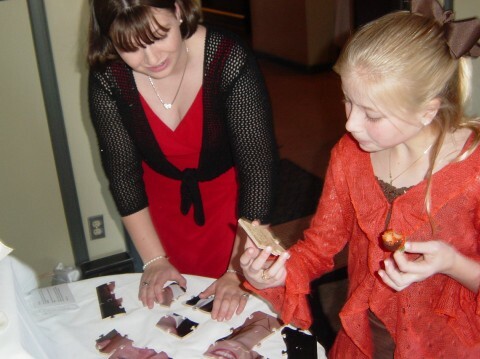 A friend of the bride, took the pieces to the gathered attendees and explained their task. This youngster was eager to get the puzzle started as the pieces were completed. 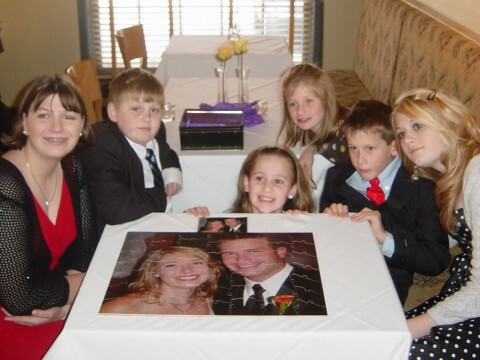 His table was a little small so the puzzle was moved to a larger table that was a little easier to work on. Additional puzzle masters saw what was happening and joined in. Close ups A few examples of some wonderful reminders for the Couple to treasure. This one wins first prize for color creativity. is to include a kitten and a puppy in that life. Some day ... the children may enjoy putting the puzzle together. 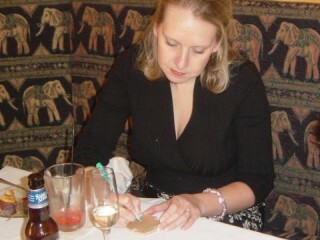 It can be framed (use a plexiglas back) or kept boxed for safe keeping.